Gen. William C. Westmoreland. 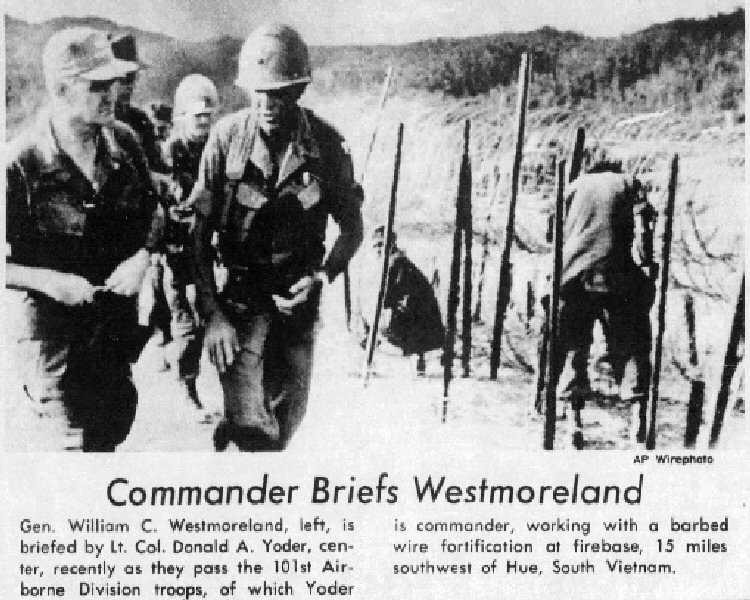 left, is briefed by Lt. Col. Donald A. Yoder, center, as they pass the 101st Airborne Division troops, of which Yoder is commander, working with a barbed wire fortification at firebase, 15 miles southwest of Hue, South Vietnam. Spec. 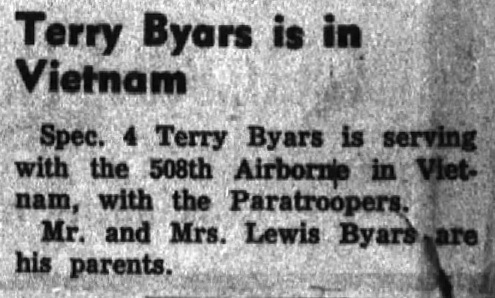 4 Terry Byars is serving with the 508th Airborne in Vietnam, with the paratroopers. Mr. and Mrs. Lewis Byars are his parents. 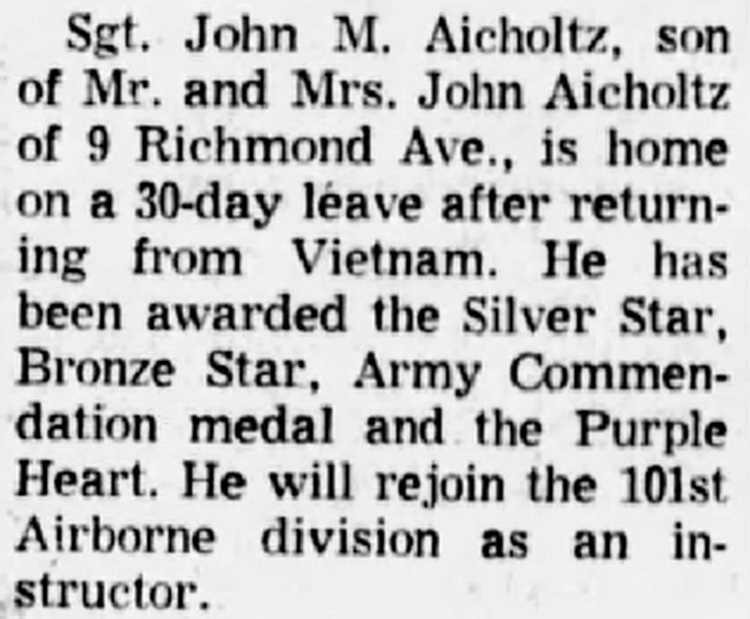 Sgt John M. Aicholtz, son of Mr. and Mrs. John Aicholtz of 9 Richmond Ave., is home on a 30-day leave after returning from Vietnam. He has been awarded the Silver Star, Bronze Star, Army Commendation medal and the purple Heart. He will rejoin the 101st Airborne division as an instructor.